Merry season of year-end festivity! 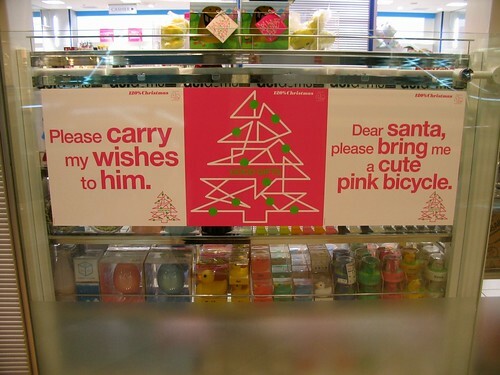 Hope Santa brings you that cute pink bicycle you've been wanting. It's a grey Christmas here in Ontario this year; very rainy. Well, maybe it could stretch to a green Christmas. The weather is so mild that the grass hasn't even died yet. I'm home in Waterloo now and have been under self-imposed Christmas lock-down for two days. I am against wild last-minute holiday consumerism so I always try my best to remove myself from the world on the 23rd and 24th of December. I have not been anywhere since going to the supermarket at 11pm on Friday. Wait, that's not quite true: we had a lovely holiday meal at Langdon Hall today. At home, I've been reading this very strange book and knitting something for the newest member of my family who was born yesterday. 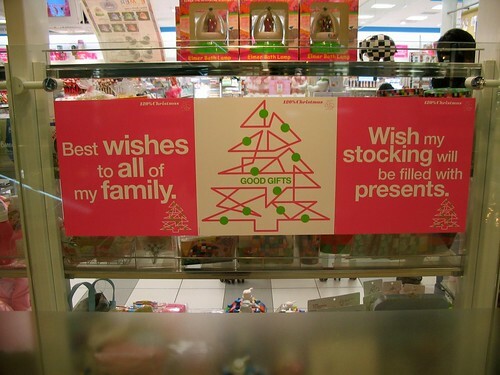 Apropos of nauseating consumerism, I did all my Christmas-sy shopping without setting foot in a mall. Yay! Something exciting will be happening for me this week! I can't write anything too specific about it but I'd have a hard time explaining it, anyway. Just be excited (and a tiny bit nervous) for me! Hope you had a great Christmas, Andrea - and wishing you all the best for 2007!